Until this past week only two tropical cyclones had ever been noted in the South Atlantic Basin, and no hurricanes. However, late last week, a circulation center well off the coast of southern Brazil developed tropical cyclone characteristics and continued to intensify as it moved westward. 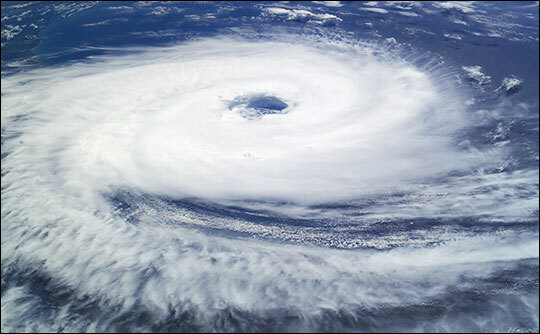 The system developed an eye and apparently reached hurricane strength on Friday, March 26, before eventually making landfall late on Saturday, March 27, 2004. The crew of the International Space Station was notified of the cyclone and acquired excellent photographss of the storm just as it made landfall on the southern Brazilian state of Catarina (the storm has been unofficially dubbed “Hurricane Catarina”). Note the clockwise circulation of Southern Hemisphere cyclones, the well-defined banding features, and the eyewall of at least a Category 1 system. The coastline is visible under the clouds in the upper left corner of the image. 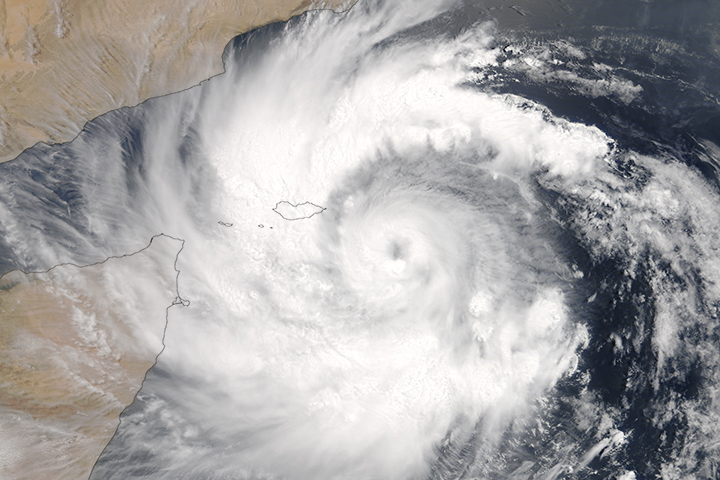 Additional images of this Rare South Atlantic Tropical Cyclone are in the Natural Hazards section. Also, Penn State University meteorology instructor Lee Grenci prepared a detailed case study of Catarina. Astronaut photograph ISS008-E-19646 was taken March 7, 2004, with a Kodak DCS760 digital camera equipped with an 50-mm lens, and is provided by the Earth Observations Laboratory, Johnson Space Center. The International Space Station Program supports the laboratory to help astronauts take pictures of Earth that will be of the greatest value to scientists and the public, and to make those images freely available on the Internet. Additional images taken by astronauts and cosmonauts can be viewed at the NASA/JSC Gateway to Astronaut Photography of Earth. Until this past week only two tropical cyclones had ever been noted in the South Atlantic Basin, and no hurricanes. However, late last week, a circulation center well off the coast of southern Brazil developed tropical cyclone characteristics and continued to intensify as it moved westward. 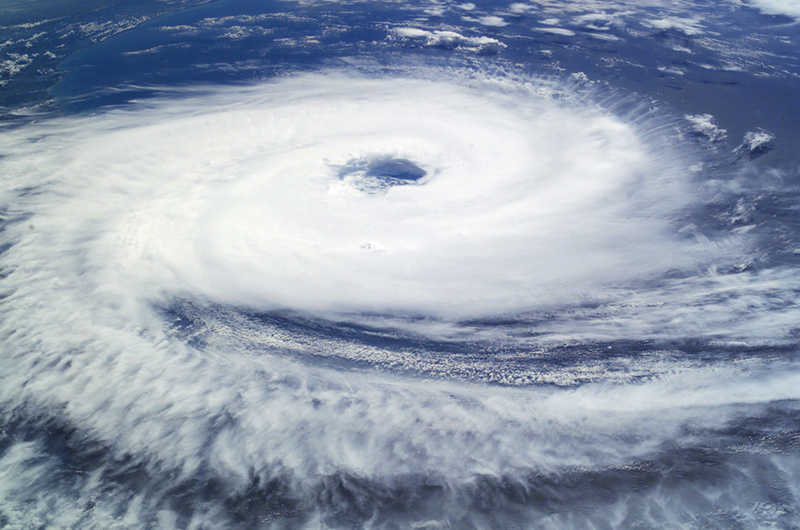 The system developed an eye and apparently reached hurricane strength on Friday, March 26, before eventually making landfall late on Saturday, March 27, 2004. The crew of the International Space Station was notified of the cyclone and acquired excellent photographss of the storm just as it made landfall on the southern Brazilian state of Catarina. Note the clockwise circulation of Southern Hemisphere cyclones, the well-defined banding features, and the eyewall of at least a Category 1 system.